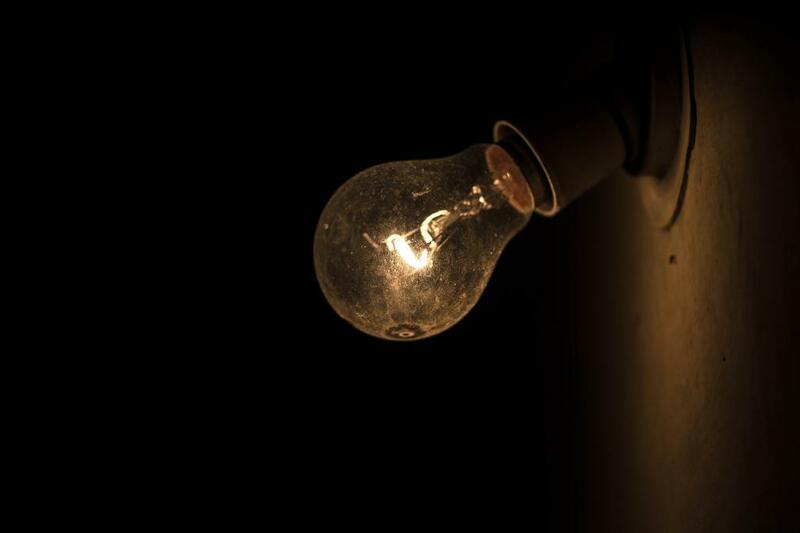 Two government programmes and millions of tonnes of carbon emissions later, Indians are still unaware of the existence of low energy consuming bulbs. They still go ahead and buy the more readily available, but inefficient incandescent bulbs (ICBs). In 2017, as many as 770 million ICBs were sold in India, which accounted for 50 per cent of the total sale of bulbs and tube-lights that year, says a study conducted by Pune-based Prayas (Energy Group). The study, which was released last month, also highlights that a majority of these sales were in higher wattages such as 60W and 100W. This is despite the fact that in the last eight years, the Indian government has launched two large-scale programmes— Bachat Lamp Yojana (BLY) launched in 2009 and the Unnat Jyoti by Affordable LEDs for ALL (UJALA) in 2015—to push people from old, energy consuming ICBs to efficient modern options like light-emitting diode (LED) or Compact Fluorescent Lamps (CFLs). During the same period, the sale of ICBs has decreased merely eight percentage points. 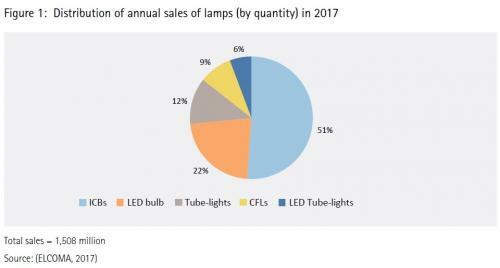 In 2010, ICB sales accounted for 59 per cent of the total sale of bulbs and tube-lights and in 2017 this share came down to 51 per cent. Although, with the UJALA programme, the Centre managed to bring down LED bulb prices through bulk purchasing, the two programmes didn’t manage to bring down the popularity of ICBs. The government has no plan to ban these ICBs, it rather prefers to rely on these programmes to push people to shift from ICBs to better options in terms of energy consumption. While responding to a question in the Lok Sabha in February 2017, the then Minister of Power Piyush Goyal confirmed that the country has no plan to phase out ICBs through gradual ban on its production or sale. Globally, a number of countries are either banning the use of ICBs or are in process of phasing them out. These countries include China, Brazil, Cuba, USA, and those in the European Union, says the study. An ICB consumes four times more electricity a CFL uses and seven times more than an LED bulb. To find out why people are not switching to modern bulbs, Prayas surveyed 445 households in rural areas of Pune district. In this study, the researchers found that about 57 per cent of the surveyed households did not know about LED bulbs and their benefits. And only three per cent knew about the UJALA programme. The fact that most of the rural population is unaware of the availability and benefits of LED bulbs, highlights the urban focus of the UJALA programme. Out of the total surveyed households, only five per cent knew about LED bulbs but did not buy one. While the government programme is focused on reducing the price of LEDs, the research finds that finance is not as big a problem as awareness. Researchers found that a significant portion of the households (both low and medium income) were ready to buy LED bulbs even at the current market price (around Rs 150), but they should be confident about their benefits. In the survey, about 84 per cent of all the surveyed households expressed their readiness to participate in the ‘on bill’ financing mechanism. Under this mechanism, the user pays Rs 15 upfront for an LED bulb, and the balance amount is paid in instalments with their monthly electricity bills. This reduces the burden of paying the price upfront. Under this mechanism, the monthly instalments can come from the monthly saving on electricity bills by using the modern bulbs. In this study, researchers underlined availability as another issue. Around 39 per cent of the households with LED bulbs bought them from a shop in their own village, while 48 per cent of the households bought them from shops at the taluka or district headquarters. This suggests that local availability of LED bulbs is an issue. Not all village shops sell LED bulbs. The direct and immediate benefit of shifting from ICBs to modern bulbs would be reduction in the amount of electricity bills as the consumption reduces. The Prayas study explains that an LED bulb can save about Rs 150–300 annually depending on the usage and the applicable electricity tariff. The researchers say that since the life of an ICB is from six months to one year, they assume that 40 per cent of the total sales were used for replacement. This means that the total number of lighting points with ICBs in India was around 460 million in 2017. The researchers then assume that all ICBs lighting points are of 60 watt. If all these ICBs are replaced with seven watt LED bulb, it will save 30 billion kWh of electricity, says the study adding that this amounts to about 12 per cent of the total residential electricity consumption in 2015-16. The study says that the savings have the potential to reduce about 25 million tonnes of CO2 emitted by the power sector, which is approximately 1 per cent of India’s total emissions.